T Add 1 to your mana pool. W, T, Sacrifice a Cleric: You gain life equal to that Cleric's toughness. 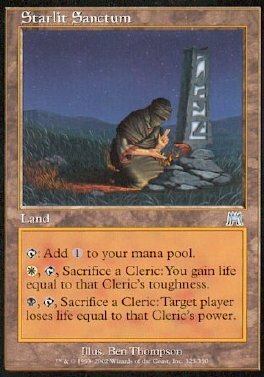 B, T, Sacrifice a Cleric: Target player loses life equal to that Cleric's power.